She literally Mocked The Coke Studio Franchise by sharing a Lovely LEO TWIN’S version of KO KO KORINA.. 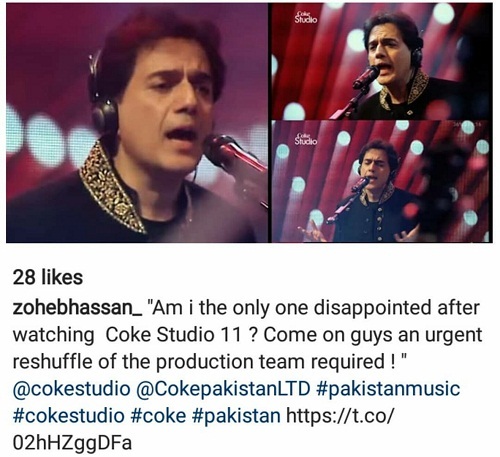 Even Adil Murad, Son of legendary Waheed Murad and Singer Zohaib Hassan expressed Their disbelief over this Coke Studio Blunder ..
Shireen Mazari @ her best ! !